If you’re already aware of this shortcut, you’ve probably used this to prank your Mac user friends. Through this shortcut, you can invert the colors on your Mac screen. This shortcut was created to help those with visual impairments but it also provides a cool effect. Please note that in order for the shortcut to work, you need to have [Invert Colors] option ticked in your System Preferences. There are often times when you feel lazy to look up a word when you are working on a document. By using this shortcut, you can look up a word while you type without searching for the meaning online. Please note that the dictionary provided through this shortcut is from the Mac OS dictionary and may not contain all the words you’re looking for. By using this shortcut, you can save time shutting down your Mac. Please note that as this shortcut instantly shuts down your Mac, make sure you’ve saved all your files. To put your Mac to sleep, press Command + Option + Eject. Often at times, you lose track of the number of Windows you’ve opened due to many reasons. Through this shortcut you will minimize all opened windows in your dock and clean your window. On a document, if you type out a math operation such as 454+343 and you enter this shortcut, the answer will appear in no time. This shortcut helps you save time from using a calculator to solve your math problems. This wonderful shortcut helps you save Youtube videos on your Mac as an .flv file. Please note that this shortcut only works on Safari and the definition of the video may not be HD quality. For any avid YouTube watchers, 1080p was what made the difference between a good video and a great one. But now YouTube has integrated video quality beyond measure. After 1080p comes 1440p and finally 2160p, also know as 4k, Ultra HD, and UHD. The upgrade to 4k seems great, but is it really? Although, the jump from 1080p to 2160p is noticeable, most people will not be able to experience the true clarity of 4k videos unless you have a retina display monitors or a 4k Display Monitors. Mixed in with the slower downloading speeds and older graphics cards not being able to support it. This brings up the question of “what is so great about 4k?” Since the majority of people do not have displays that can take advantage of 4k. Stay connected at my twitter handle to stay updated 24/7 @TRMGaveragejoes and @realmacgenius What do you think? Let us know in the comment section. Spark is working to make strides to revolutionize the consumption of news. The new app allows users to share and read articles posted by friends from sources such as The New York Times and Medium.com. Spark’s aesthetically pleasing interface takes a minimalist approach allowing the user to focus on the content and easily navigate through the application. This application divides articles into timelines (home, spark, fire) promoting articles within the network of users followed as well as trending articles. Users are encouraged to post intriguing articles, the more likes and comments brings the possibility of an article to catch “Fire” on the Fire timeline. 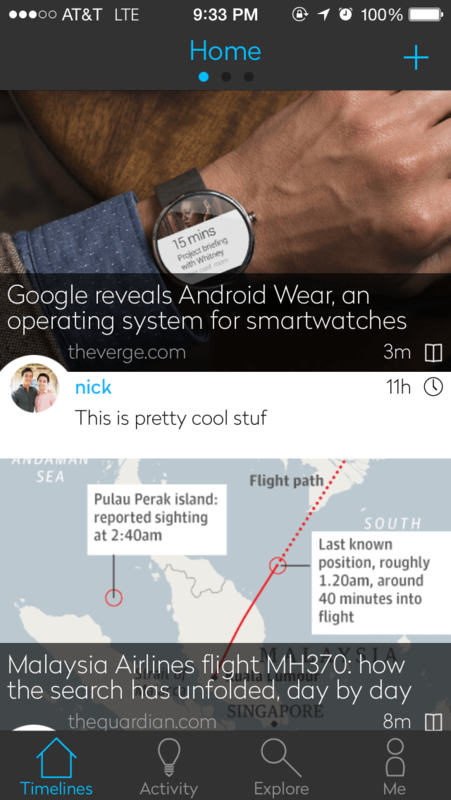 Overall, Spark offers an intuitive user interface and personalized news. Download Spark on the App Store today! The latest version of OS X has brought even more comfort to Mac Users. The powerful OS X Mavericks has so many new features that you may miss some of them if you’re not careful. So to help you become a Mavericks expert, we’ve decided to provide you a few tips and tricks for more efficient use of the new operating system. By pressing Command + T, now you can open tabs in your finder, a lot like browser tabs in Safari. Furthermore, the previous Mac OS X Lion Finder could label folders and files with various colors. Now with Mavericks, these color labels could be assigned specific meanings under Finder Preferences. Few years ago, Apple enabled notifications from websites on Safari. Now, these notifications can be delivered even without having to be on the website that is sending the notification. These notifications can be managed under Safari preferences. Mavericks also allows a Do Not Disturb Mode which can be set under System preferences. This allows you to be free from notifications disturbing you for a certain period of time. In addition, Update notifications can be delayed through clicking the Later button on the Update notification. 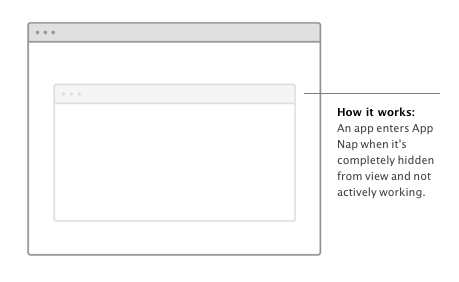 App Nap is a new feature that aims to extend battery life while enhancing overall performance. The App senses windows behind others and slows them down until they are switched back in to main focus. For example a video will stop playing once it is not visible in the window, to save power. In addition, the new OS X automatically frees up memory space when needed and compresses memory of other applications when inactive. Want to learn more about the OS X Mavericks? With the release date coming around the corner in Fall 2014, Apple’s next innovation has analysts guessing as to what features Apple will end up implementing in the iPhone 6. Here we will look together at some of the most popular rumors surrounding the screen on the upcoming iPhone: Screen Size: Reports expect a larger screen. Ranging from 4.5 inches to 5.7 inches, rumors speculate that the screen size must be upgraded in order to compete with other top smart phones such as the Samsung Galaxy S4. If the screen is to be bumped up to size of the Samsung Galaxy Note 3 (5.7 inch screen) it would be at the midpoint between the iPad Mini and the current iPhone 5s/5. According to analyst Brian White, Apple’s iPhone 6 will be a 5 inch screen after meeting with an Apple supplier, he is confident such a screen will appear on the 2014 model of Apple’s iPhone. Other rumors suspect that Apple may release two different size models, with one close to the 6inch range and one much closer to the 4 inches sported by the current iPhone. Materials: There are also reports of Apple deciding to use sapphire for the screen material. 9to5Mac.com reports that“Apple just procured enough sapphire crystal furnace to make 100-200m five-inch iPhone displays in Arizona”. If they were to use sapphire, the screens would be scratch-resistant, as well as far more expensive due to the cost of sapphire.